The Internet of Things (IoT) refers to the connectedness of computers and other devices that enables them to share data and work together, potentially enabling and automating new kinds of applications and improvements to our lives, infrastructure, and more. 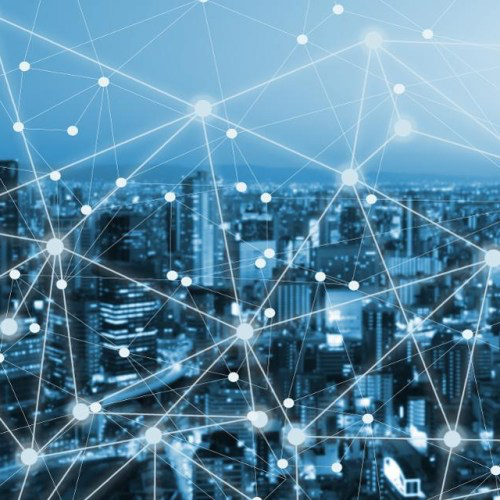 From automated homes, buildings and factories to enhanced traffic flow with autonomous cars and connected signals, from fully connected health data across personal devices and doctors to smart cities that monitor safety, energy usage, and more, the benefits of connected devices are huge. In this event, Rhonda Dirvin of ARM will cover the technologies that are making the IoT a reality, and guest speakers will provide several examples that demonstrate its power to reshape our lives, jobs, and society. Chris Blanding is an Account Manager at Cisco working with state and local governments around the world delivering state of the art solutions to advance initiatives like IoT and data solutions supporting citizen engagement, transportation, public safety, healthcare and numerous other domains. Chris has 14 years experience in the technology sector primarily focused on translating organizational needs into technology solutions. He served in the military in the mid 90’s, managing one of the first digital intelligence systems designed to consolidate and fuse data from multiple sources, derive meaningful insights from that data, and ultimately securely message decision makers with those insights to support rapid decision making. He has also previously worked for Dell EMC and Rackspace as an account representative. Gaurav Chawla is a Vice President and Senior Distinguished Engineer in the Server and Infrastructure Systems CTO Office at Dell-EMC. Gaurav has 25+ years of experience in various areas in computer industry. He currently leads technology strategy and architecture for Dell in the areas of Edge Computing (IoT, Mobile Edge), SDN and NFV (Network Function Virtualization), and Blockchain. He has been with Dell for 13 years and has lead technology strategy in the areas of Enterprise Storage/SDS, CI/HCI, Private/Hybrid Cloud, HPC Storage and Telco NFV. He has also been involved with Industry Standards and Open Source Groups. He currently represents Dell Enterprise in IoT OpenFog Consortium. In his prior role, he served as Platinum Board Member and Secretary at Linux Foundation OpenDaylight SDN Project, and also represented Dell in T11 FC/FCoE, IEEE DCB and SNIA CDMI standards. Gaurav is also involved with technology evaluations for Dell Technologies Capital Venture Fund. Gaurav joined Dell in 2005 after 13+ years at Sun Microsystems, American Megatrends, and HP. Gaurav has a M.S. and B.S. in Computer Engineering and currently holds 50+ patents. Xiaoping Chen is the Director of the IBM Watson Internet of Things platform with over 20 years experience in development of information technology, cloud computing, Internet of Things, Blockchain, service management, software-as-a-service, and analytics based products. She leads a global engineering organization with teams in US, UK, Germany, India and Brazil to build Watson IoT platform services, IoT Blockchain and manage the services. Xiaoping holds three masters degrees-- business administration from The University of Texas at Austin, computer science from The University of Texas at San Antonio, and computer engineering from Huazhong University of Science and Technology. Dr. Ted Lehr is a Data Architect with the City of Austin, Texas. He is part of Austin’s Smart City team, advising on technology, business partnerships and the use of data for better services, more open government, and development of opportunities for entrepreneurs and other private sector entities. Ted is also the staff member leading the Mayor’s Office’s White House TechHire workforce initiative, and is facilitating or participating in several university-industry-city research collaborations. Dr. Lehr lectures in Computer Science at Texas State University where, in 2015, Texas State recognized him as an Outstanding Part-Time Faculty for the quality of his teaching and research outreach. In 2017, he was designated a "Favorite Professor" by the honor students at Texas State. He has over 20 years of experience in the private sector in large and small companies. Having published over 20 refereed articles, he speaks on open data, city research opportunities and smart cities. Ted received his Ph.D in Electrical and Computer Engineering from Carnegie Mellon-University.